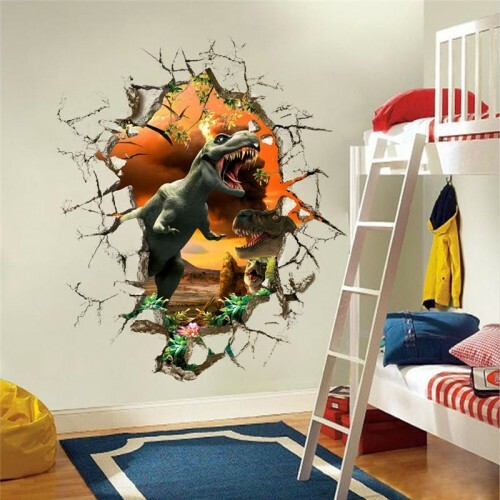 Turn back time and transform your child’s bedroom with one of our incredible dinosaur wall stickers. 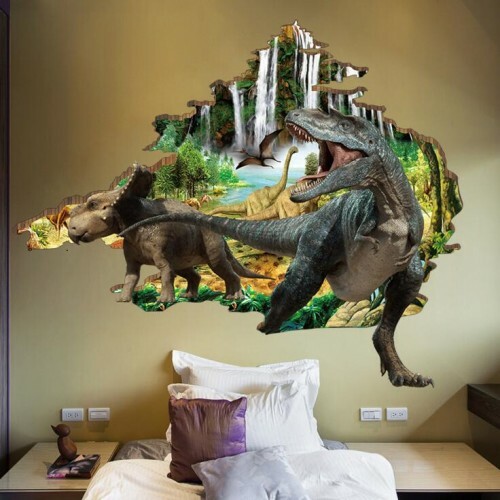 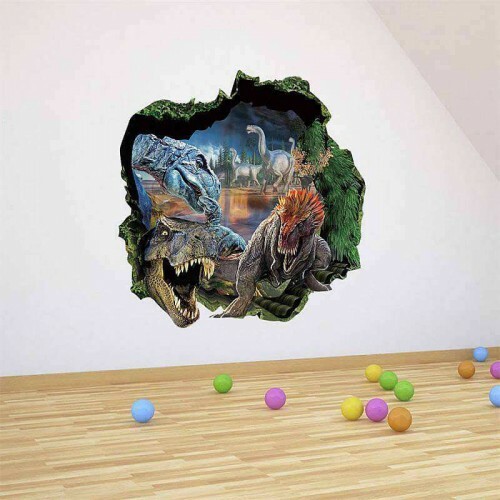 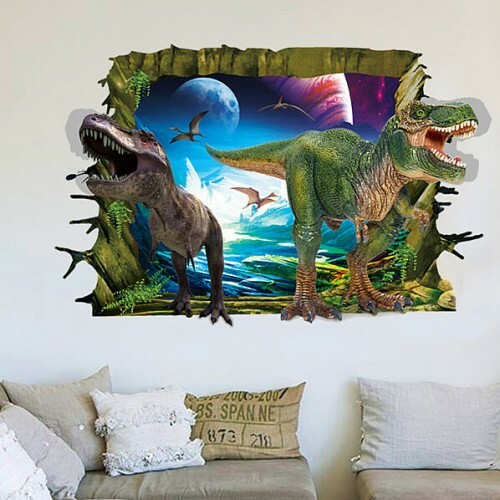 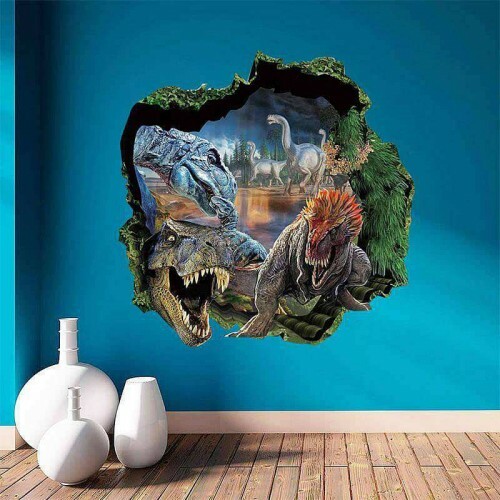 The perfect option for completing nature or dinosaur-themed decor; our high quality dinosaur wall stickers are also affordable and incredibly easy to apply. 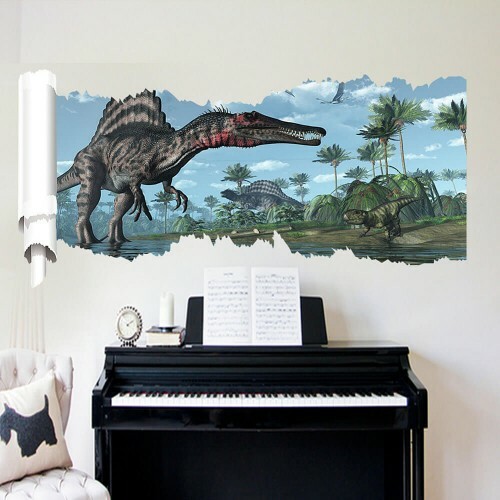 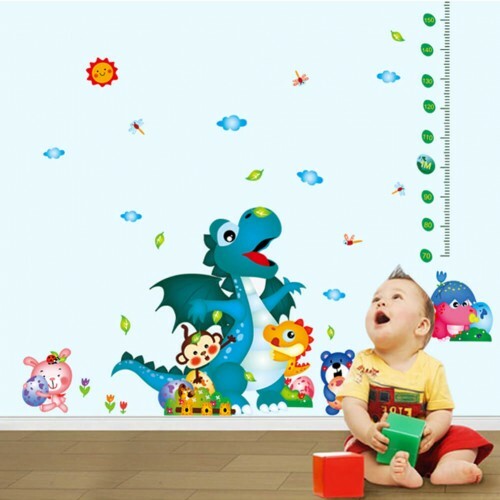 We offer impressive 3D dinosaur designs, Jurassic World stickers and dinosaur growth height chart wall stickers. 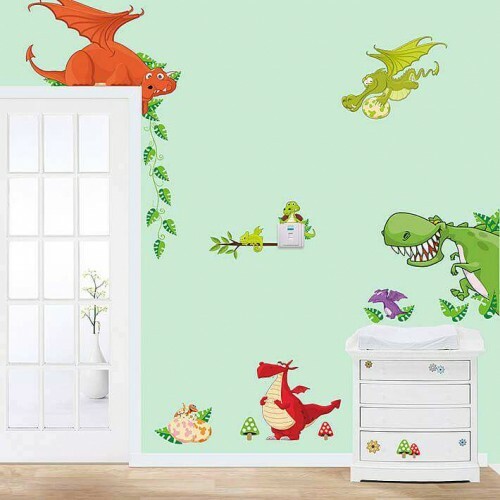 We also provide an incredible range of other animal and nature themed stickers, as well as night light stickers, wall clock stickers and character stickers. 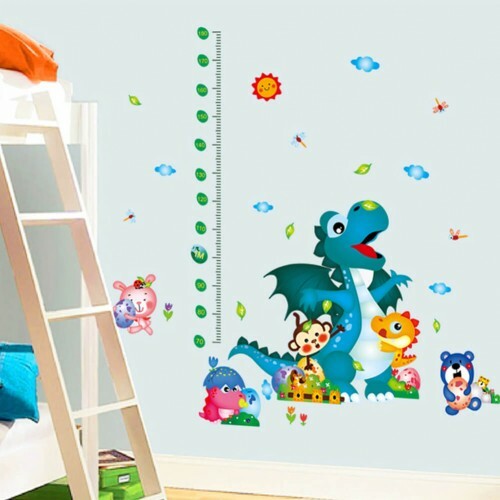 For those of you looking for something a little more specific, make use of our custom design service where our expert design team can create a sticker personalised to suit your individual needs. 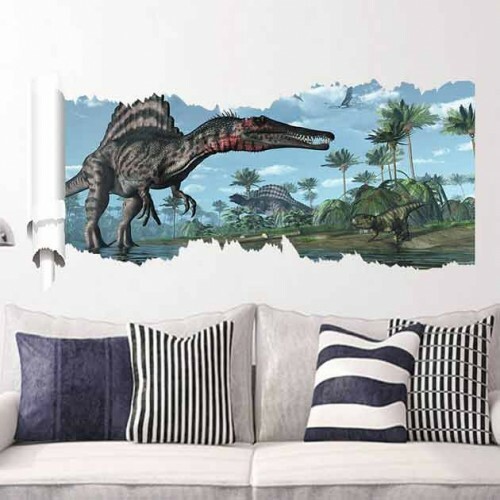 If you’re in a hurry and require your wall decal very soon, don’t worry – we’ve got you covered! 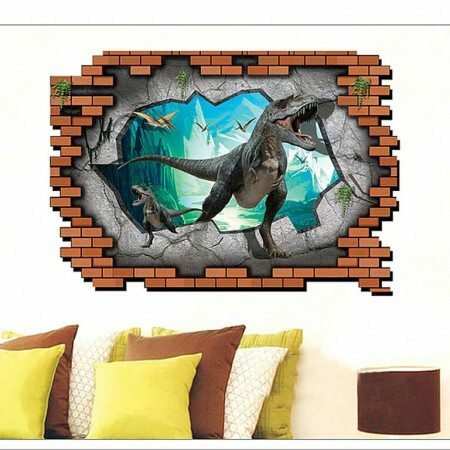 Our range of different delivery options available ensure your chosen wall sticker design will be delivered to you in minimal time. 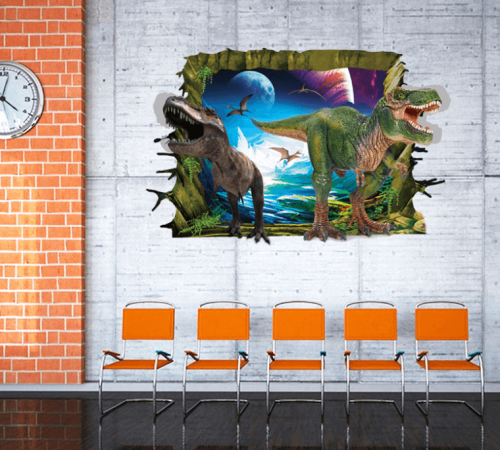 All UK orders placed before 3pm are dispatched the same day and we can also offer next business day delivery to any location within Ireland. 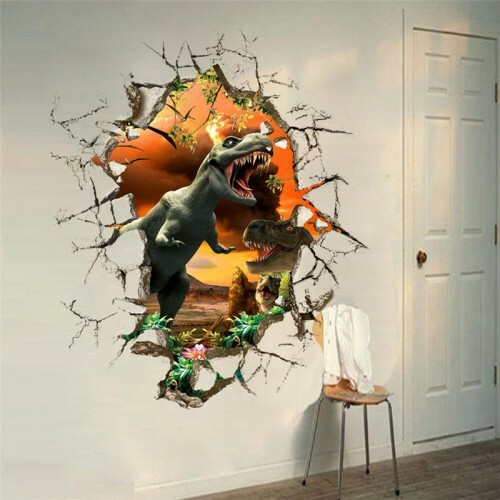 If for any reason you are unhappy with your purchase, or have ordered the wrong design; we offer a 100% money back guarantee. 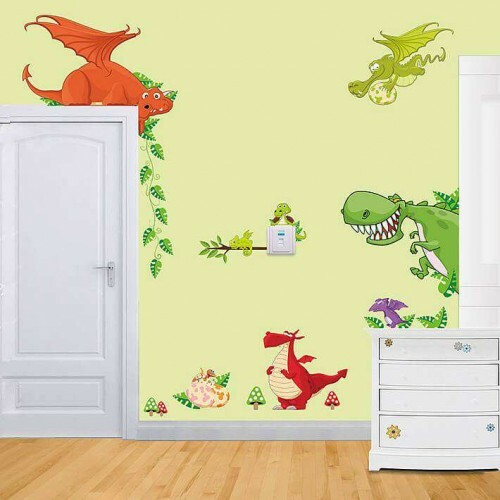 For any further queries on our services, or if you require assistance with your order then please get in touch now!